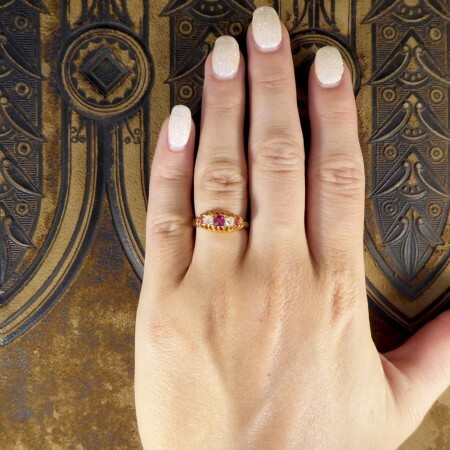 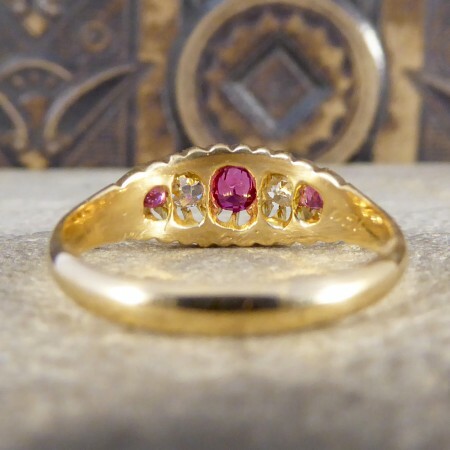 With alternating Rubies and old cut Diamonds, this classic Late Victorian ring is set in 18ct Yellow Gold and sits elegantly on the finger. 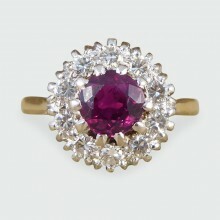 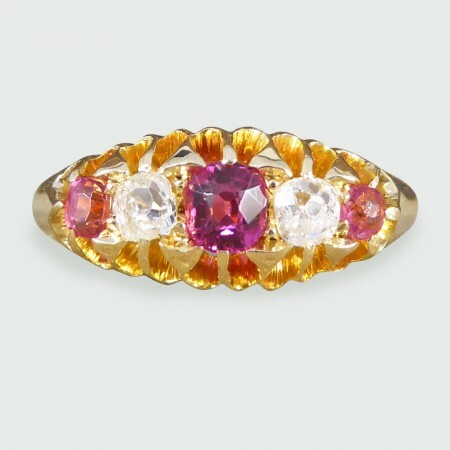 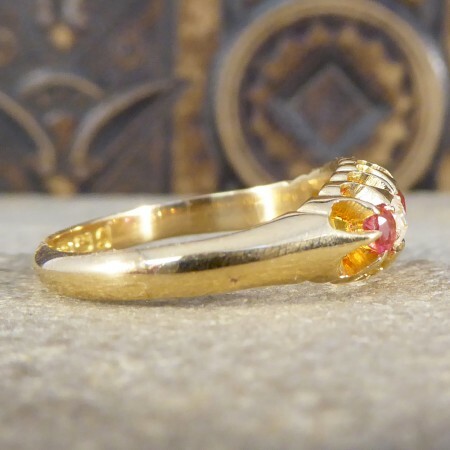 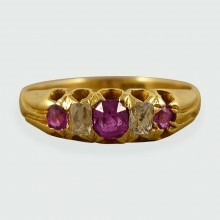 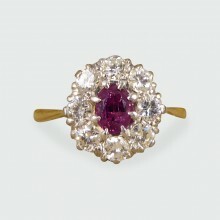 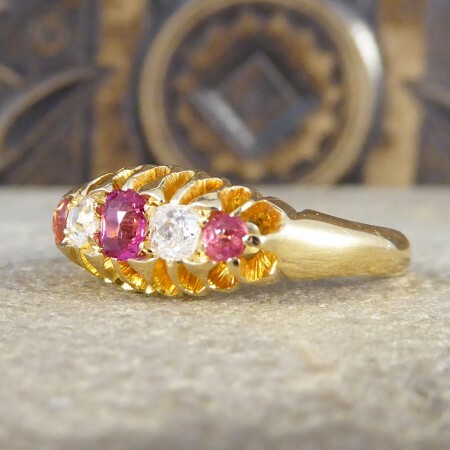 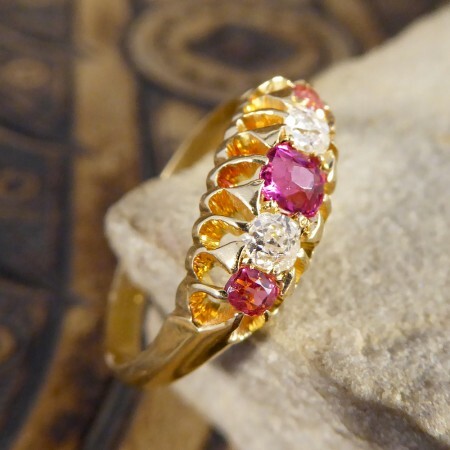 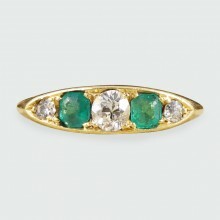 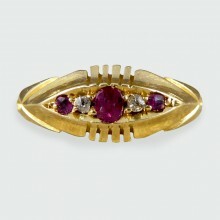 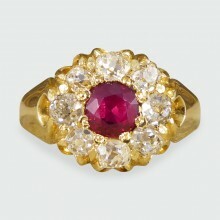 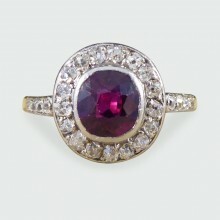 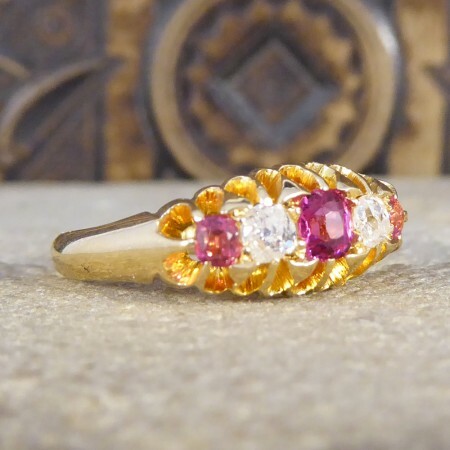 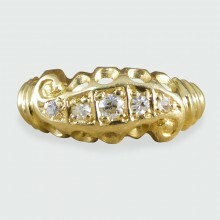 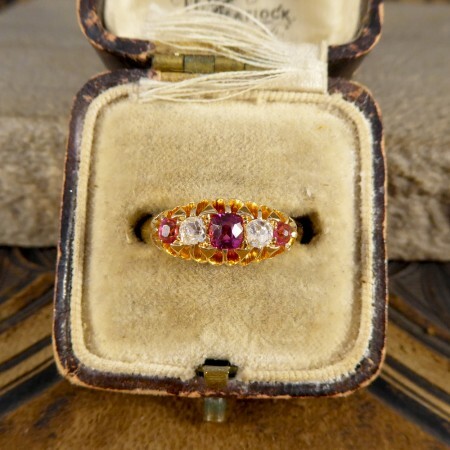 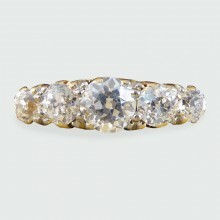 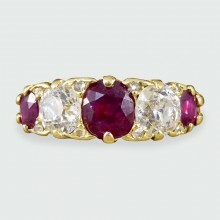 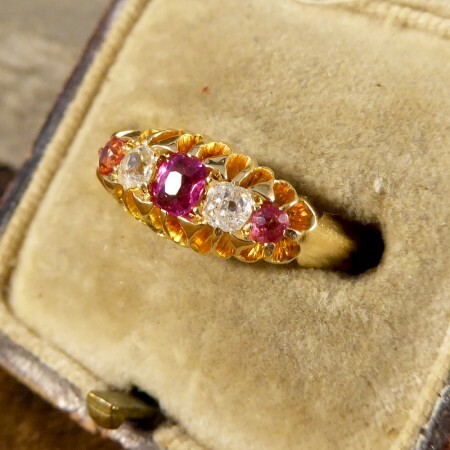 The perfect gift for any antique lover with a total of 0.30ct Diamonds and 0.50ct Rubies. 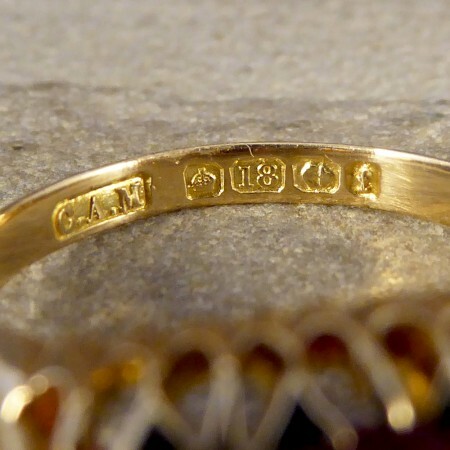 Head Height; 7mm. 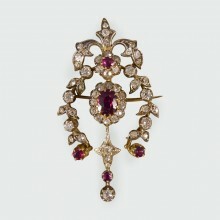 Head Width; 15mm. 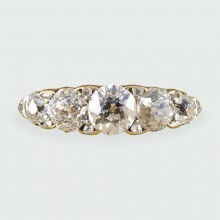 Head Depth; 4mm. 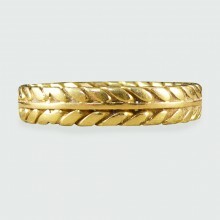 Band Width; 2.5mm.